Terry Walton has kept an allotment for over 50 years - man and boy - in the Rhondda valley in South Wales. He started when he was four, helping on his dad's plot on the side of the mountain, when he was sent to cut bracken and collect sheep manure by the bucketful to feed the rows of vegetables. By the time he was 11 he had his own plot - the youngest ever to do so - and while still in his teens established an allotment empire to grow the vegetables and flowers he sold to local customers. The proceeds paid for his first car, a canary yellow Ford Popular, when he was just 17. Set against the changing social scene in Wales - as the traditional culture of coal mining, heavy engineering and poverty gave way to a greener landscape and more affluent community - this is the story of a man with a great passion in life. His allotment has been the centre of his universe. From the first time he opened his eyes in a nursing home the other side of the allotment fence to his current role as media personality on radio, tv and in the press, Terry's tale unfolds in fascinating detail. He lovingly documents the changes over the years, the characters he meets and his own hearfelt conversion to organic gardening methods. 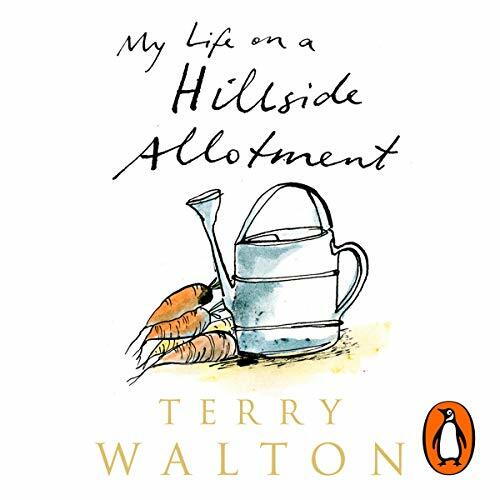 This fascinating memoir also includes anecdotes, topical tips and family recipes plus delightful line drawings, which will make it the perfect gift for gardeners and allotmenteers. Thoroughly enjoyable. Highly recommended. Takes you back to a simpler time. You won't regret it. An absolutely charming book. I relaxing break from the more gritty novels and non fiction I usually listen to. Has helped make the digging of my own garden a joy. Just a lovely book.